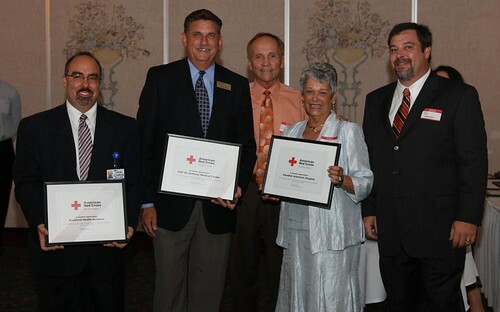 Red Cross Benefit – “Golf’n for the RED” pictures are now in! Golf'n for the RED Committee who made it all possible. New pictures are now in from Golf’n for the RED. It was a wonderful day and a good time was had by all. Just click here to see the pictures! Title Underwriters, Bachrodt on State and Contry Homes presents the 3rd Annual Play Day in support of the Nancy J. Smith Homeless Shelter. Located at Timber Pointe Golf Club in Poplar Grove, the Golf’n for the RED play day registration will begin at 11:00 a.m. with Shotgun Start at 12:30. In addition to an afternoon of golf, guests will enjoy prizes, contests, dinner and loads of fun including the chance to win a brand new car through a Hole-in-One Contest! The Rock River Chapter of the American Red Cross began serving the homeless of Rockford in 1988. The 48 bed facility provides guests with overnight shelter when they have nowhere else to go each night of the year. The shelter is available 12 hours every evening and accepts men, women and families. Guests find assistance through case management sessions that evaluate the individual needs as a whole, rather than just fulfilling their immediate need for housing. Through case management, clients are linked with available services to regain confidence and skills needed to maintain self-sufficiency. 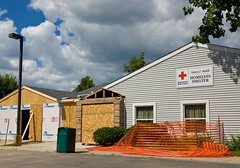 For more information on how to register for Golf’n for the RED or the Nancy J. Smith Homeless Shelter please visit: rockriver.redcross.org or call: (815) 963-8471. Here’s another great way to find out what we’re doing at the Rock River Chapter of the American Red Cross – follow us on Twitter. Twitter is a free social networking and micro-blogging service that allows its users (also known as twits) to send updates (otherwise known as tweets) which are text-based posts of up to 140 characters in length. http://en.wikipedia.org/wiki/Twitter. I hope to see some new followers soon! The roof is up now on our Emergency Shelter. Construction has been going great, if you’d like to volunteer just visit our website. This renovation will allow us to better serve families and children. Click the link above or here to see more pictures. This September, the American Red Cross joins the U.S. Department of Homeland Security and a coalition of more than 1,500 organizations in helping you get prepared during National Preparedness Month. Learn the three recommended preparedness actions to “Be Red Cross Ready” for emergencies, take the Pledge to Prepare, and get involved today! Gia the pug loves to play outside but during the summer has to stay inside during the warmest hours of the day to avoid heat stroke. As we enter the final leg of summer, many Americans will be flocking to the beach for vacations of fun and sun. Others might choose to save money on gas and host a picnic in their own backyard. However we spend our summer days, pets are often included in the trips and festivities. In an effort to promote pet safety, the Red Cross has launched the Dog Days of summer campaign, urging pet owners to learn how to prevent and treat heat stroke in dogs, especially during the hot summer months. 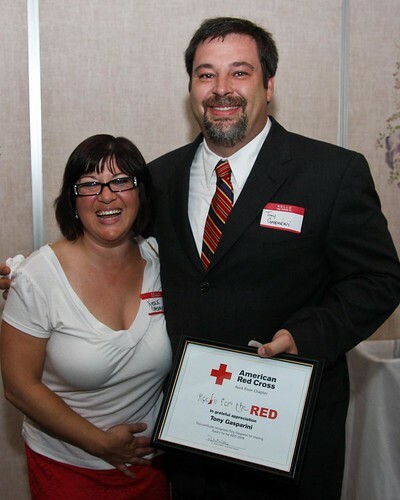 Red Cross Night at Cliffbreakers – Pictures are In! See a few pictures below from our night at Cliffbreakers appreciating Rock’n for the RED people and donors to the Midwest flooding. Dr. T of Dental Dimensions and Dr. Willis giving him his award. From the left: Chris Bellone - Rockford Health Systems, Mike Robinson - OSF St. Anthony and Jan Hagenlocher - Swedish American who all donated a combined $15,000 ($5,000 from each hospital). Behind them is Dr. Willis and Tony Gasparini. 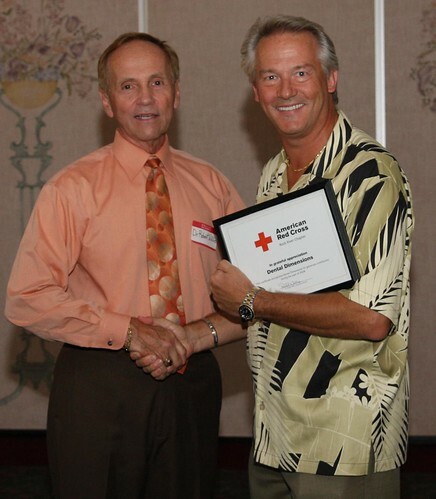 You are currently browsing the American Red Cross - Rock River Chapter Blog blog archives for August, 2008.